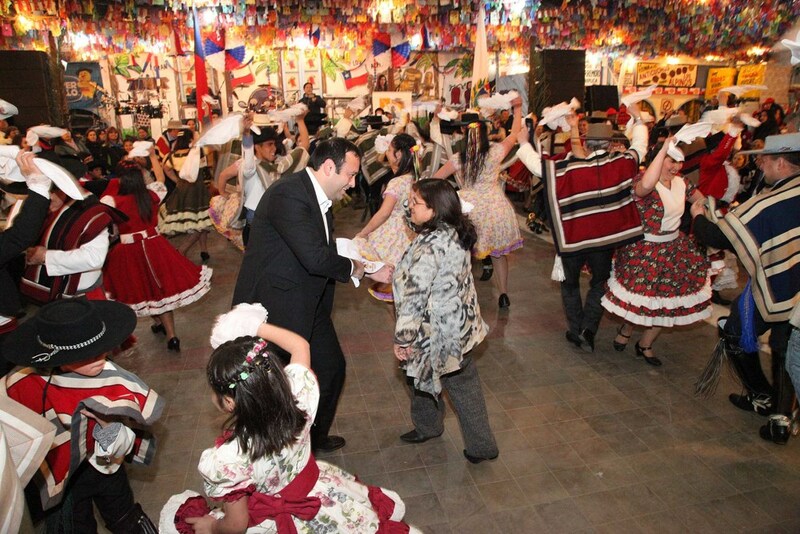 Fondas, or Fiestas Patrias, is the most popular holiday in Chile because it celebrates the “birthday” of Chile. Yes, you probably imagine July 4th, but not exactly. Fondas or the celebrations last for whole two weeks, not only a day. Most, but not all, fondas take place at parks. It costs 5.000 Chilean Peso ($8 USD) to enter. The parks are truly huge, so just to imagine, it takes about 30 minutes to walk from the North to South. These Fondas perfectly represent the Southern American lifestyle. There is a lot of eating, talking, celebrating, music, and dancing. I have been to Fondas three times. I went there in the first days, during middle, and the last day. All three days were full and when I say full I meant around 10,000 to 15,000 people every night. Dancing is one of the ways to celebrate the independence. I found it very funny because in United States many people have only two weeks of vacation for the whole year. People in Chile spend two weeks just celebrating the independence of the country. If you do the numbers that 52 weeks (one year)/2= 31. Which means that if worker works for 31 years than one spends the whole one year celebrating independence of Chile. I am not saying that they all take vacation for it, but speaking to the Chileans, companies do not expect a lot from their workers during these days.